Soon it will be time to pack away the summer clothes for another year and start putting together our autumn and winter wardrobes. As good a time as any for a style overhaul. If the idea of updating your look appeals to you but you are low on funds, or you would just like to find something a bit different to the usual high street fare, a visit to the charity shops is the way to go. There are two shops, an adult shop and NCBI Kids. Both are renowned in the area for great value, variety and quality high street to high-end clothing, as well as books, jewellery, bags and bric-a-brac. Most of the clothes cost less than a tenner. If you are on the lookout for a perfect party outfit and you don’t want to break the bank, look no further than the designer rail at the rear of the adult shop. You’ll be blown away by the bargains you can find there. For example, it’s not unknown to stumble across items by Vera Wang, Jean Paul Gaultier, Tommy Hilfiger or Karen Millen. On the day NewsFour paid a visit, there was a brand new Louise Kennedy jacket on the rail, reduced from €850 to €100. But the average cost of the designer clothes on offer is much lower. You can well afford to accessorise too, the shop carries a great selection of shoes, jewellery, bags and even perfumes. Every month the NCBI shops have a half-price sale to clear stock, so there’s never anything on the rails for more than 4 weeks. The NCBI volunteers are friendly and approachable and the shops are well organised, so it’s easy to scan the rails to find to that hidden gem. So get down to the Ringsend Road and grab yourself a bargain. With such amazing prices you can always afford to revamp your wardrobe and dress to your heart’s content. Next door in NCBI Kids you can buy good quality children’s clothing, toys, games, baby equipment, walkers, buggies and books, for a fraction of their retail price. A good quality buggy will cost you €30 but you can pick one up for as little as €10. You’ll be helping support a great cause too. NCBI is the national sight loss organisation. The charity has 95 shops in Ireland, including a furniture store in Dublin 2 – NCBI Home. A hundred percent of donations go to the charity as the shops are staffed by volunteers. If you would like to become a volunteer, get in touch with the shop. It’s a great way to get retail experience and a great way to socialise and meet new people. Address: Bridge Street, Ringsend, Dublin 4. Most of us associate charity shops with clothing, books, and bric-a-brac, but in Sandymount there’s something a bit special, the Enable Ireland Garden Centre. The project began in 1996 when some of the Enable Ireland service users decided they would like to grow a few plants. It quickly flourished and has since become a fully functioning garden centre with a wide variety of plants, shrubs, trees, herbs and climbers on offer, at very competitive prices. They also stock lovely garden pots and containers, as well as compost, tools and everything else you might need to create your own little Garden of Eden. The centre’s team of horticulturists work full and part-time and run regular gardening and craft workshops and demonstrations throughout the year. There’s always someone on hand to help with gardening advice. The garden centre was a Silver Medal winner at Bloom this year, with a garden designed by Joan Mallon, a good friend of the charity. 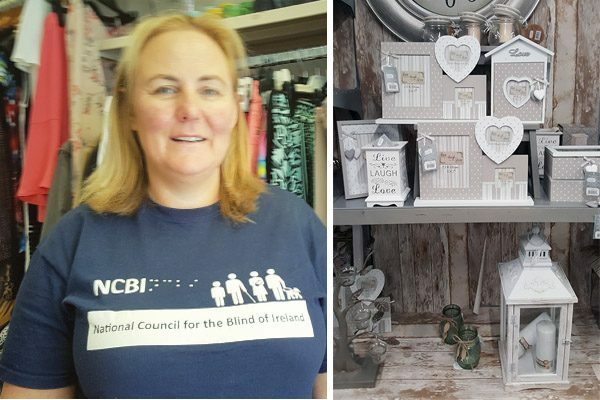 In the Enable Ireland gift shop you can buy some really gorgeous gifts and unusual garden accessories. The prices are good too. They stock a great range of scented candles and the fragrance drifts into the Circle of Life outdoor seating area where you can sit, have a coffee, and enjoy nature in the relaxed atmosphere; guaranteed to raise your mood and soothe your senses, even on the greyest day. The Brennan brothers came to visit the store a couple of years ago and sprinkled their magic dust. Since then the centre has gone from strength to strength. Enable Ireland have created a space where the customer wants to linger, an accomplishment that every retailer would like to achieve. As well as providing a sanctuary in the heart of Dublin 4, the centre provides jobs and training for Enable Ireland service users. All of this and you are doing your bit for a great cause. What more could you ask for!